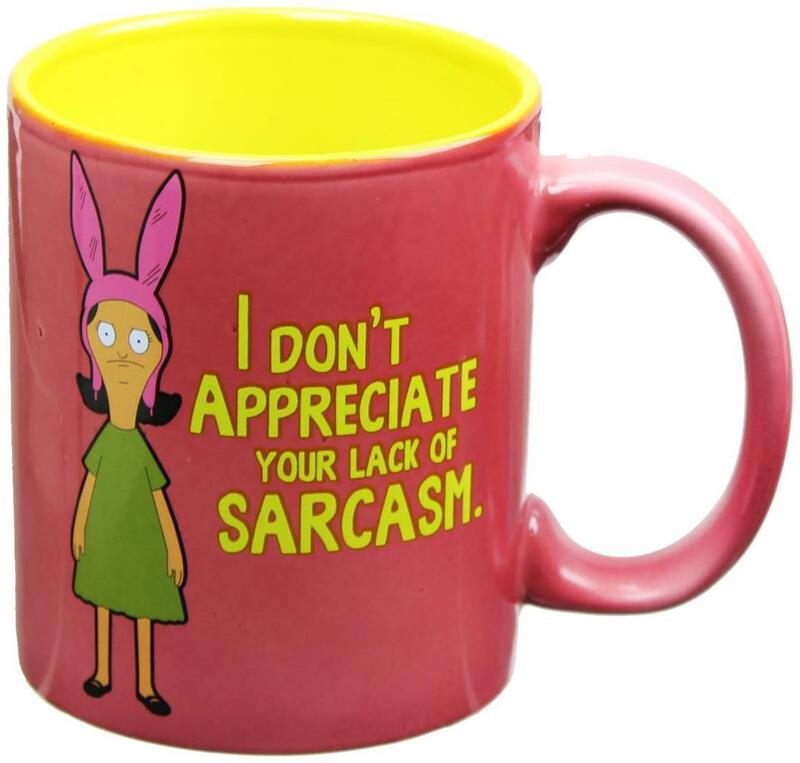 This officially licensed Bob's Burgers mug features Louise and her line "I don't appreciate your lack of sarcasm" printed in yellow on a pink mug. 12 oz. mug. A perfect gift for any Bob's burgers fan. Ages 13+. 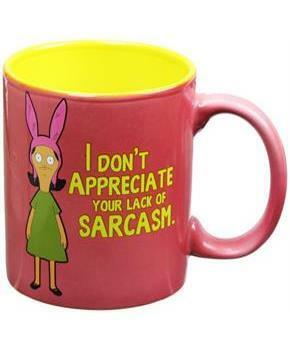 I don't appreciate your lack of sarcasm printed in yellow on a pink mug.